With fall just beginning, and the weather getting more and more mild, the blazing summer heat is in our rear view mirrors. 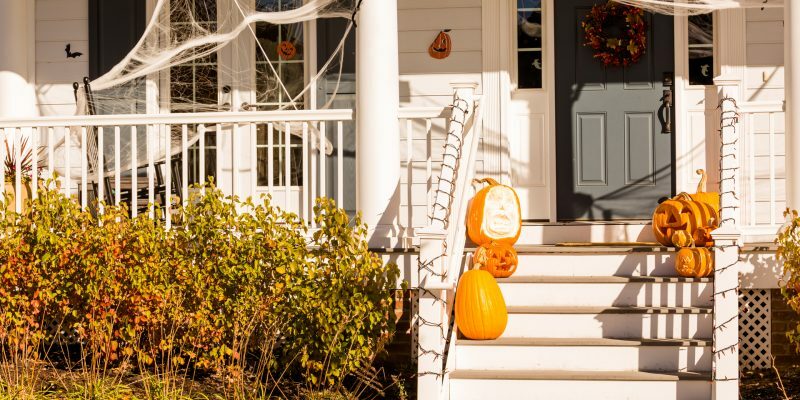 The whole city is getting excited to decorate their homes for Halloween and booking flights to see family for Thanksgiving, but in all that fall excitement, are you thinking about your roof? It could be time to schedule a seasonal inspection, and get your roof in shape before the holidays. The Houston heat, as we all know, can be brutal. Not just for you and your air conditioning bill, but also for your roof. 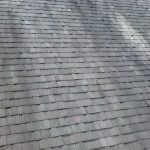 The beating sun and high temperatures can wreak havoc on your shingles, causing deterioration. Add the rains and wind of hurricane season, and you have a recipe for roofing disaster. At Amstill Roofing, we recommend twice yearly roof inspections to make sure everything stays in great shape. The spring and the fall are perfect times of year to have these inspections done. Don’t worry about putting the ladder up for anything but your Christmas lights this year, call us and let us inspect your roof. Our trained professionals know exactly what to look for when it comes to sneaky roof damage. Keeping your roof maintained seasonally is the best way to save money and avoid expensive repairs in the long run. With our seasonal inspections, we are able to catch problems as they arise. Instead of waiting to notice a major problem, issues will be taken care of right away. Having a well-maintained roof can save you money on your heating and cooling bills throughout the year by keeping your house insulated from the top down. We all know the rain in the Southwest Houston area, even out in Katy, Sugarland, Memorial, and the Energy Corridor, can be relentless. Your seasonal roof inspections will help keep the rain where it belongs, outside your house. When your roof is well-maintained, larger problems like rainwater leaking and structural water damage are far less likely to occur. These problems can be expensive to fix, and sometimes ruin not only your roof, but even your ceilings and floors inside your home. Here at Amstill, we are pros at keeping your roof in tip-top shape for years to come. 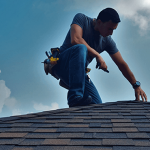 Fall Into a New Roof in Southwest Houston! Fall has finally arrived. With it comes football watch parties, trick or treaters, Thanksgiving dinners, and holiday celebrations. Many people in Southwest Houston are preparing for this exciting season by getting their homes in shape to entertain friends and family. The weather is finally starting to cool down, and you may be spending more time relaxing in the backyard or out on the patio. If your roof is aging or not looking its best, it is time to call Amstill. Keep the outside of your home looking as great as the inside with a new roof. If your roof is reaching the 20-year mark, it is probably time for a roof replacement. 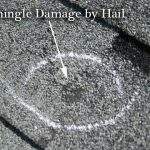 Once your roof reaches this mark, it becomes increasingly more difficult for small repairs to fix the underlying problem. To keep your home in its best shape, and prevent further damage for the roof structure, it is time to replace. You have several options for replacement material at Amstill. We back all of our materials with a quality guarantee. Whether you are looking to stick with standard 20-year asphalt shingles, or upgrade to more durable laminate or architectural shingles, we assure your home will come out looking its best. Our upgraded shingles can last anywhere from 30 to 50 or more years. These are a great choice for homeowners who want the extra security of heavier, thicker shingles. Amstill is known for our top quality roofing and trustworthy team. Did you know that we can do so much more? Your beautiful new roof should have a fresh looking exterior to go along with it! Amstill Corporation not only provides roofing services to the Katy, Memorial, Sugarland, Energy Corridor, and Greater Houston areas, we also offer full service home improvement packages. These include painting, exterior siding, carpentry, window replacement, and even rain gutter systems. Keep your house looking amazing from the inside out with the best roofing team in Southwest Houston. The first step to making your dream home a reality is giving us a call to set up an inspection. Our experienced roofing professionals will guide you through the roof replacement process. We can help you pick the best options for your home. Whether you are in Katy, Memorial, Sugarland, the Energy Corridor, or the Greater Houston area, we want your home to look its best. 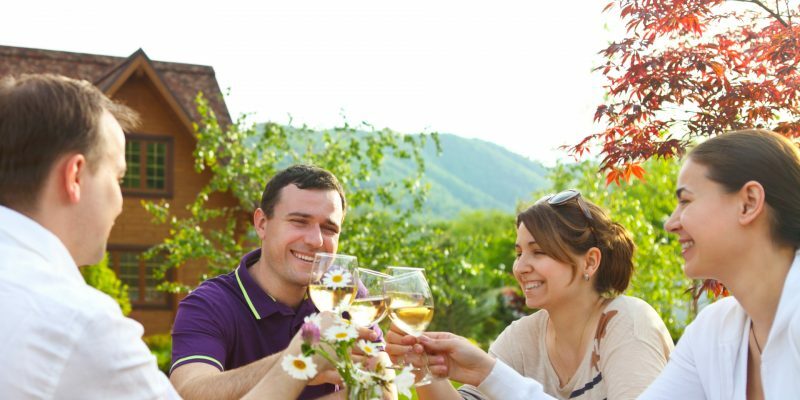 This fall, be proud to entertain in your backyard or patio with a beautiful new roof from Amstill roofing. September is over, October is in full swing, and Houston is finally nearing the end of hurricane season. 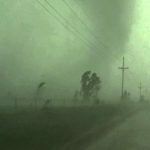 Every year from June through November, the unpredictable storms roll through and we prepare ourselves for what sometimes seems like endless rain. Rain, wind, and harsh sun can all wreak havoc on your roof, especially if it is aging. Set up a semi-annual inspection with Amstill Roofing and avoid further damage this winter. It is reaching the time of year that is perfect to have your semi-annual inspection. We recommend giving us a call in the Fall and the Spring each year. This ensures your roof continues to be in the best possible shape. If we find anything wrong, we are able to quickly and easily fix it before the problem escalates. Although hurricane season was not as severe this year as we know it can be, Houston still saw its fair share of rain. Schedule your fall inspection towards the end of hurricane season. This allows us to take a look at how the summer months weather may have taken a toll on your roof. Wind and heavy rain can uplift, dislodge, or damage your shingles. If left untreated, these minor fixes can lead to major damage under the surface. Long term this could extend past just roof repairs. Repairs to your ceilings and floors if water is allowed to get under the surface and seep through to the interior of your home are also possible. Let Amstill Roofing keep your Houston area home in the best possible shape by setting up a seasonal inspection with us this fall! Whether you’re in Katy, Memorial, the Energy Corridor, Sugarland, or the greater Houston area we are Houston’s top choice for a job well done. Don’t let shady roofing companies talk you into repairs you don’t need. Trust the best in the industry for keeping your roof looking new for years to come. Trust Amstill Roofing for your next project. If you are looking for a roofer in the Katy, Memorial, Energy Corridor, Sugarland, or Greater Houston area, think local. Amstill Roofing has been proudly serving the great city of Houston and its surrounding areas for decades. 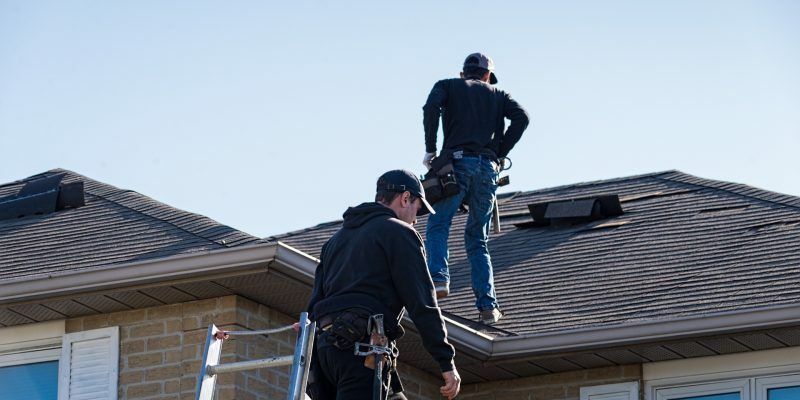 Our knowledge of this city, its homes, and the way our unpredictable Houston weather may affect your roof makes us the top choice in Southwest Houston roofers. The whole Amstill team is highly certified and the best at what we do. 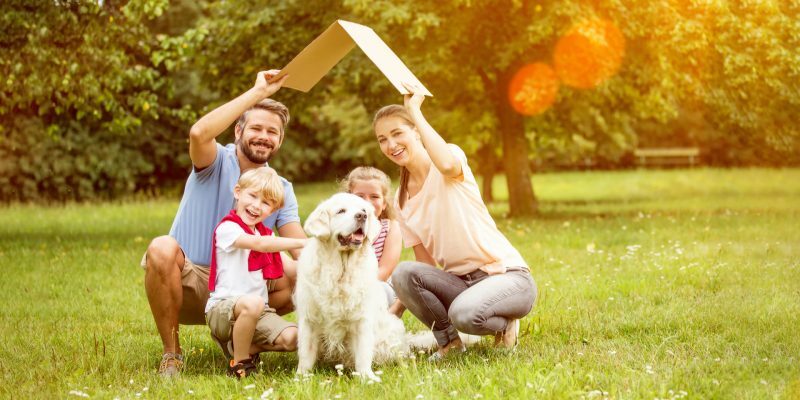 WHY CHOOSE LOCAL HOUSTON ROOFERS? We know the area, and we love it. Amstill has been getting to know Houston for a long time. This makes us experts in what will work best for your Southwest Houston home. We believe quality work comes not only from the best materials, but having the best team. 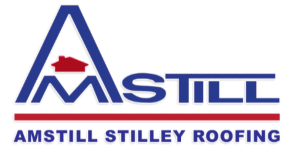 Many of our team members have been a part of the Amstill Roofing family for more than a decade. Providing Houston with the best service in the industry year after year is out passion, and it shows. Almost every project we do is completed in just one day. That means you spend less time under construction, and more time enjoying your beautiful new roof. A roof is in investment in your home, we know that. That is why we have prided ourselves on reliable, trustworthy, honest service to the Southwest Houston area. It’s not just talk, we’ve won awards for this stuff. Don’t let inexperienced or shady roofers cut corners or deceive you. What may seem like a great deal at the time could cost you majorly in repairs and replacements in the long run. You can always trust Amstill to do it right the first time. Not sure if your roof needs replacing, or maybe just repairs? Are you skeptical of an inspection from a shady roofing company, and need a second opinion? We are always happy to provide homes in the Katy, Memorial, Sugarland, Energy Corridor, and greater Houston areas with free and honest inspections. We can even show you pictures. With Amstill, you will never have to worry about false inspections or improper technique. Our roofs are built to last. Give us a call today to set up an inspection, and let us give you the roof you have been dreaming of.